Note: We can see a dramatic decrease in survival at the 6 month mark. This was caused by the El Nino event in April/May 2016 which caused a rise in sea surface temperature. To learn more, head to our Bleaching page. We can see that since then, the remaining corals have been growing very well! At one year, the line is growing so well! The photo angle isn't great since the first few corals died, so I took this shot of some of the corals today! 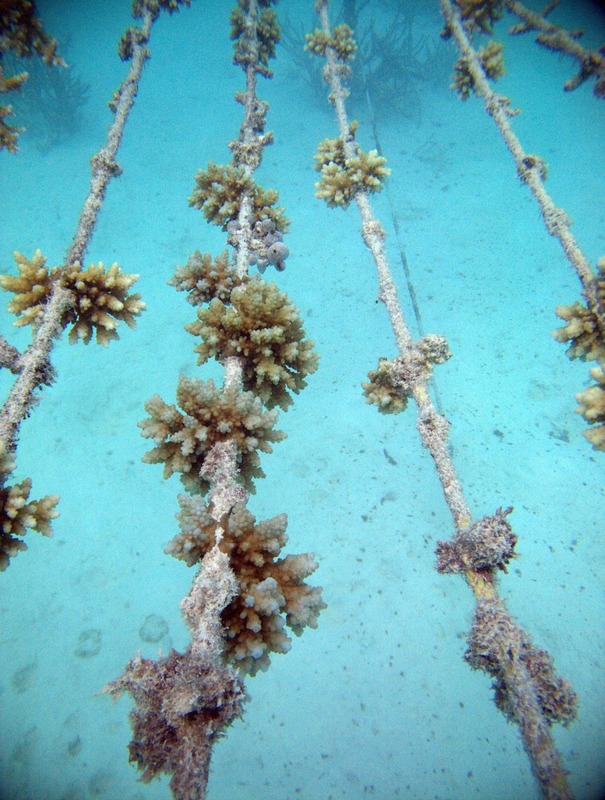 >> The line will be transplanted to the reef in the next few months!